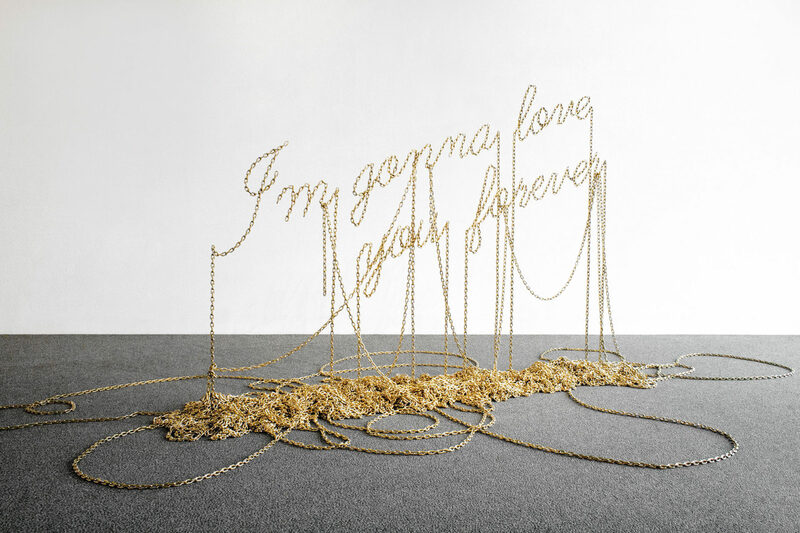 The eternal phrase I’m Gonna Love You Forever, emerges as if floating in space from a partially raised shackle heap. 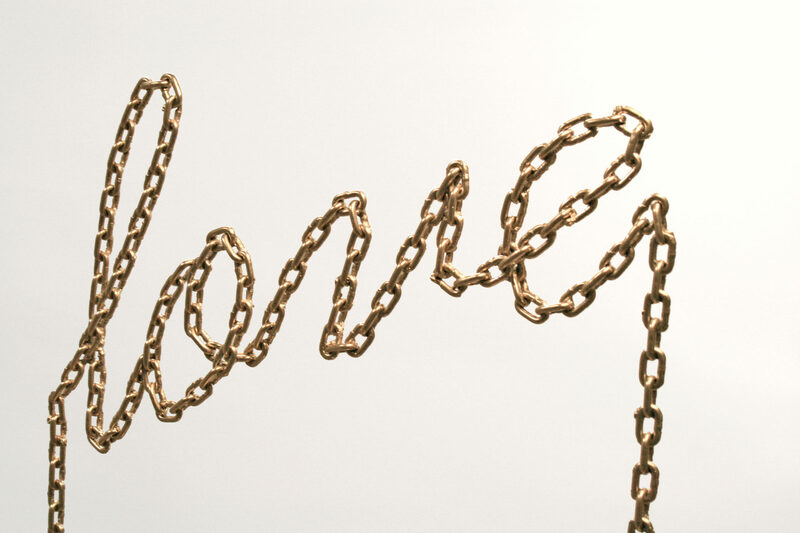 Love, one of life’s foremost themes, as in theatre, is ironically dramatized: Is it about an eternal, chained-up love, or about love links? A promise of love, or a prison? Whether a chain link or a gem, a subtle gift or a mass-produced industrial object, this disproportionate knot of chains offers a multiple and composite reading. For example, as a tantalizing desire, a sustainable truth, or a resistant weakness. No longer concerned with the word, but more with the commercial action “which incites the buyer to act”, Unchain my heart sells its product, the image of love being frozen in space on a cynical note, like a suspended, stray pictorial gesture.